There are not much successful examples of transcribed music. “Dance of the Yao Tribe” and “Fishing Boat Song” are the few of those. “Fishing Boat Song” is originally a Chinese classical music being transcribed for solo violin. The violin version does sounds exciting with the double stops and the harmony. 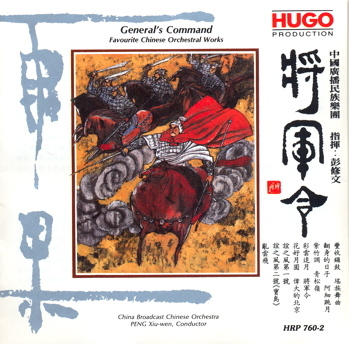 “Dance of the Yao Tribe”, however, is originally a musical piece for an Western Orchestra. It was first transcribed by Peng Xiu Wen in 1954, and then in 1970s for a large scale modern Chinese Orchestra. The main theme is nice and graceful, and the whole piece has various moods, being lyrical, passionate and lively. It is a repertoire that can easily be accepted by the audience. With Peng’s arrangement, I find the music has become even more interesting than the original version. Peng has very good understanding of the characters of various Chinese instruments. And the very strong character of Chinese instruments has added vivid colour to the music. 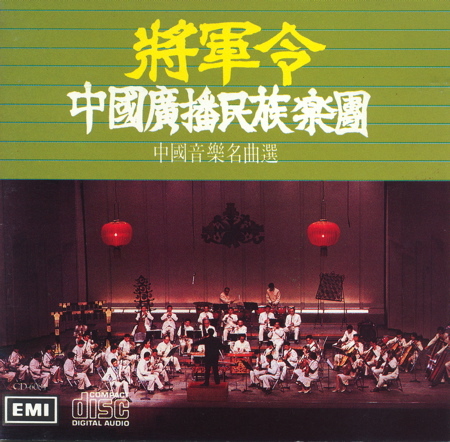 The music “Dance of the Yao Tribe” is even more forceful and energetic when being performed by the China Broadcast Chinese Orchestra conducted by Peng Xiu Weng. Peng’s style has great dynamics, and the music structure is well presented. Under his baton, the Orchestra is very lively and moving. I have 3 recordings of the repertoire, all conducted by Peng. One is the 1980 EMI recording, second is the 1992 Hugo recording, and the third one is the 1994 BMG recording. From the 3 recordings of Peng and orchestra spanning over a duration of 14 years, you can hear the consistency of Peng. Take “Dance of the Yao Tribe” for example, the overall interpretation is the same for all 3 recordings. 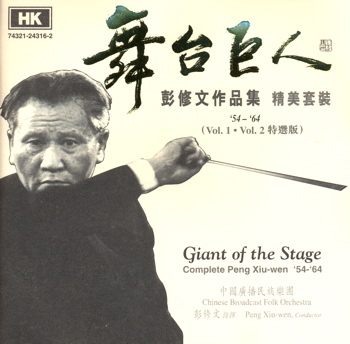 For the musical slow passage in the 92 and 94 recordings, Peng used a slightly slower tempo. Other than that, the plucking section was not as responsive as the 80 recordings. As for the quality of recording, both the later versions are better than the 80 version. Especially the Hugo recordings, the instrumentation and sound stage remains clear even at great dynamics. There are few minute details in the 1980 recording that I like very much, not present in the 92 and 94 recordings. Firstly the tone of the Gao Hu (the 2 string instrument like Er Hu but with tones octave higher) was beautifully recorded in the 80s recording. I believe the main reason is that in those years the Gao Hu was played with the instrument being held in between the legs. As a result you get a very smooth and damped tone from the instrument. In the later years the instrument was freed from the legs and being played like any other Er Hu. The new method of playing the instrument though make things easier for the player, it does make the tone of the instrument harsher. In the 80 recordings, the plucking instrument section was very keen and agile. The sudden decrescendo in 0’52” and the crescendo in 1’21” are very obvious and are lacking in the later recordings. Especially the sudden decrescendo in 0’52” was so well executed that it must be the tacit agreement between the conductor and the plucking section. Finally there is this accent that was played by the Shen instrument at 2’16”. In the 92 and 94 recordings this note was executed as a quite entry into a long sustain note. Whereas in the 80 recording the slight but obvious accent the lead to the final sustain note was interesting and drew attention. Other than the minute details, the Peng and Orchestra combination seems to be a guarantee of quality. No matter which year of recordings, it is always a satisfying experience listening to their music. And it still is.